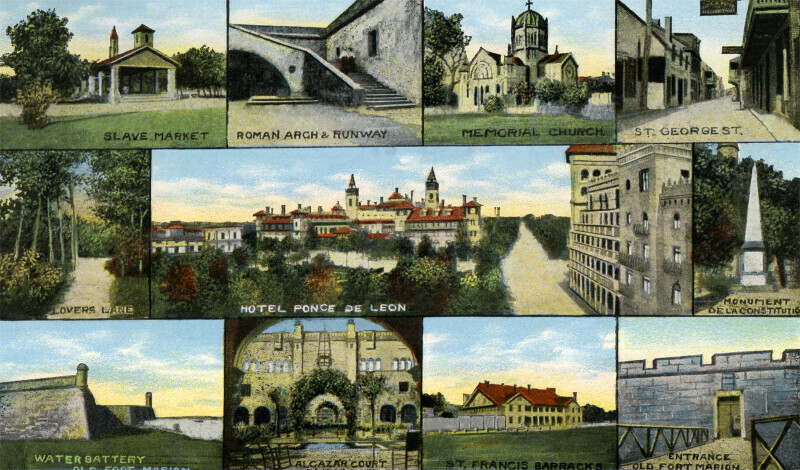 This illustrations present eleven view of St. Augustine. This image provides a quick visual reference to the most commonly included postcard views. The two images that are not commonly repeated are the "Lovers Lane" and "Monument de la Constitution." WARNING: You are about to download a 12.2 MB TIFF!